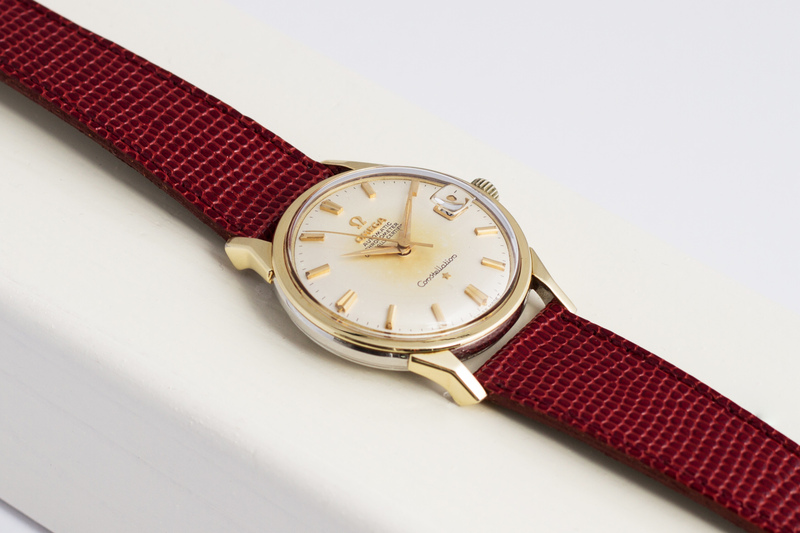 The Omega Constellation is a true Omega classic and still fairly affordable when compared to its bigger brothers or similair watches from competitive brands! 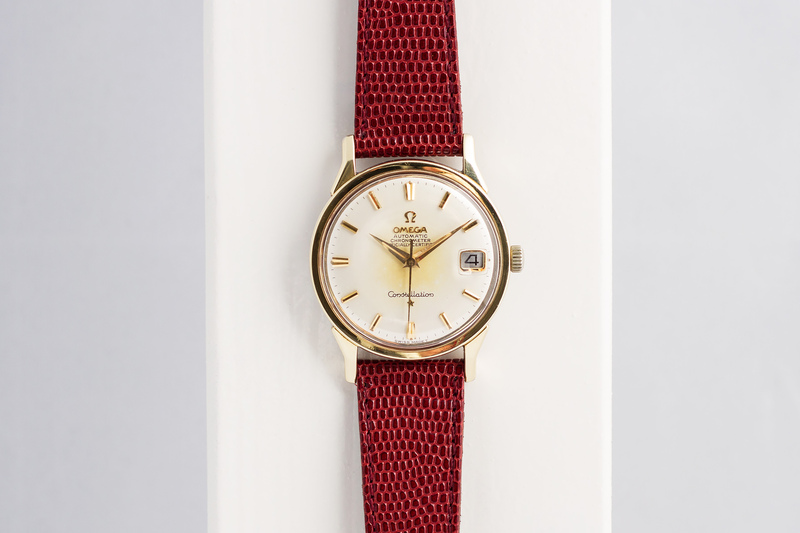 The Omega constellation is offered in several different fancy watch-cases and with different richly decorated (pie-pan) dials. 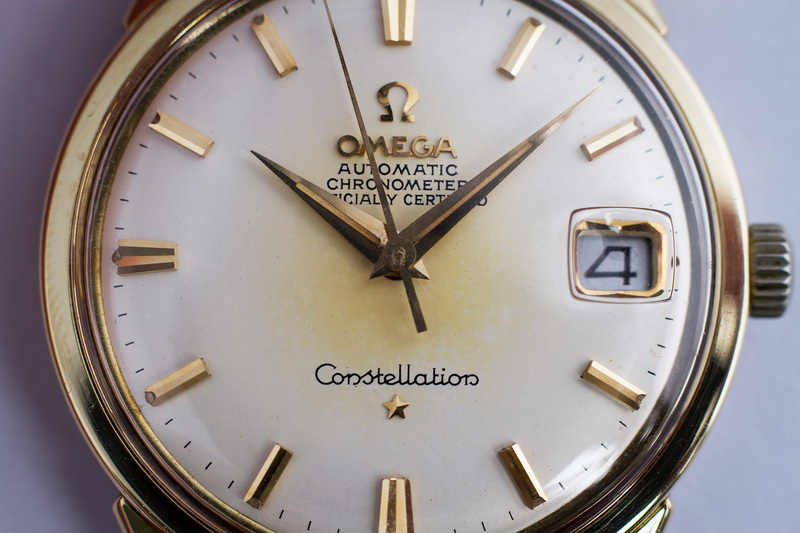 The Chronometer Certified Constellation we’re offering here has a so-called goldcapped case, this means that this constellation its center-case is a solid block of stainless steel which is fitted/surrounded with a gold cap. These gold caps are quit thick in comparison to goldplated cases for example. Goldplating is a very different process, can’t really take any polishing and doesn’t last long. 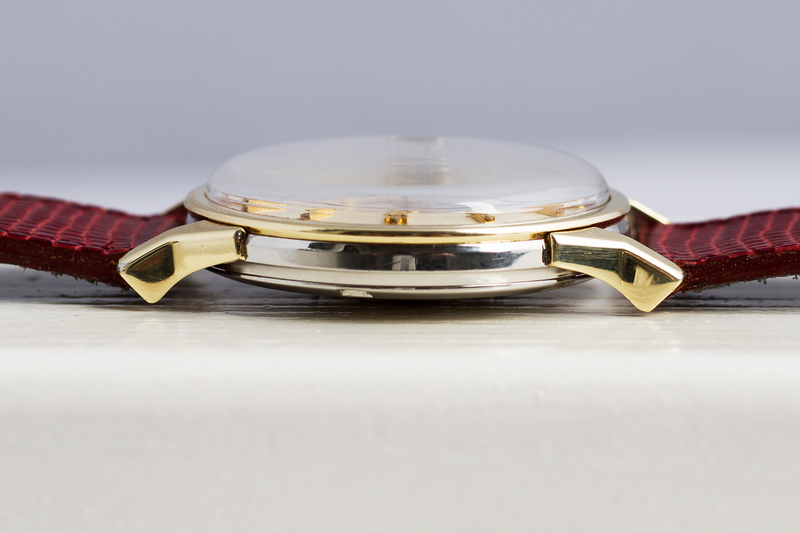 With these goldcapped cases polishing isn’t an issue while after decades of wearing such a watch the gold cap doesn’t wear out and can therefor still be easily seen by the naked eye while the quality and shine of the case stays guaranteed! 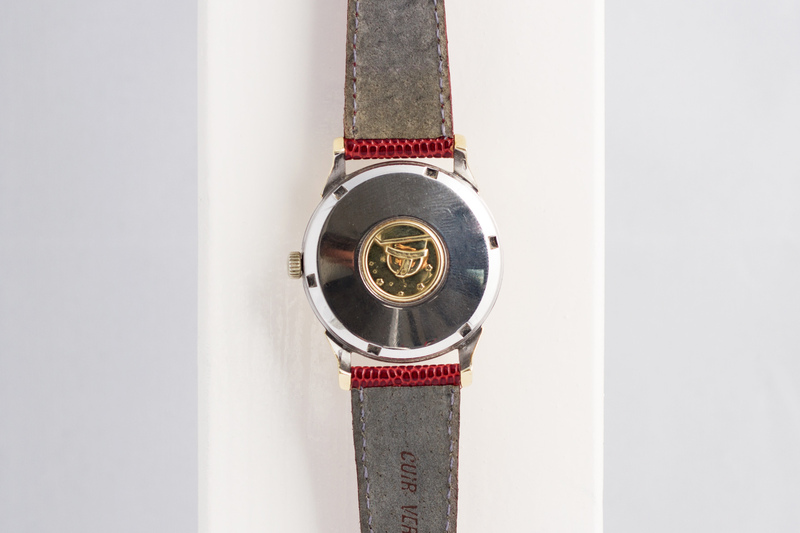 As with all Constellation watches the caseback is decorated with the Observatory of Geneve coin. 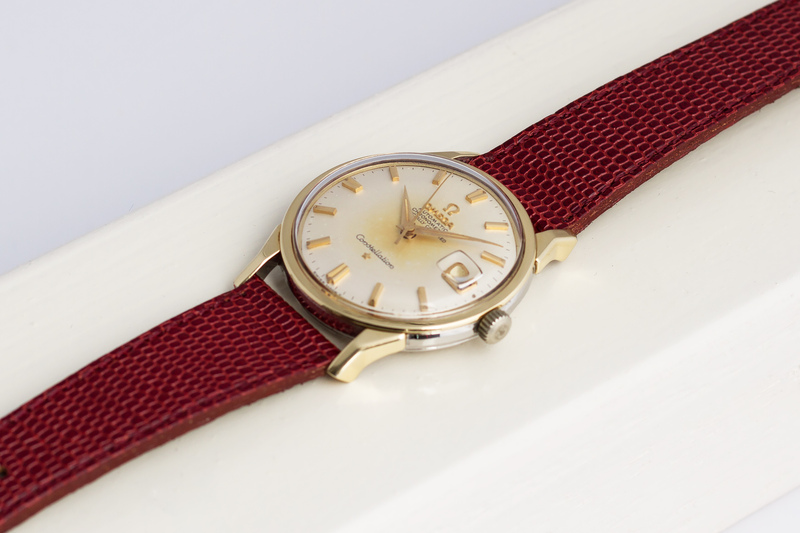 This Constellation was fully serviced by our watchmakers and comes with a 12 month warranty.